Days of Our Lives (DOOL) spoilers reveal that Sami Brady (Alison Sweeney,) John Black (Drake Hogestyn) and Marlena Evans (Deidre Hall) will go to Memphis. While there, the trio will be stunned when encountering a blast from the past. It might not be who you think it is, either. Eileen Davidson is returning to DOOL in November. Several other cast members coming back had their character names announced. All except for Davidson, who has portrayed multiple characters. 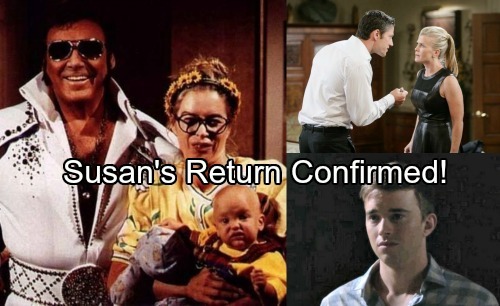 It has been confirmed that she won’t be playing Kristen DiMera, but Susan Banks. It was teased that the trio would be shocked to face a “blast from the past.” This must be Susan, of course. Her connection to Elvis (dead or resurrected) makes sense, but there is still a puzzle to solve. What does any of this have to do with Will Horton? Days of Our Lives spoilers suggest the answer to this lies in the past. In Susan’s earliest days, she managed to marry John. 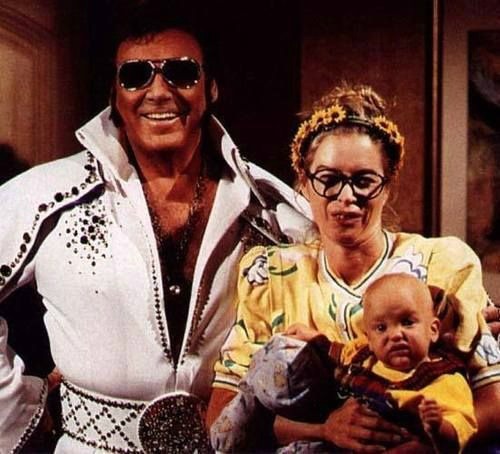 During later years, she had a child, which she named after her idol, Elvis Presley. As he grew up and got involved with Sami, Susan didn’t like it one bit. She thought Sami was evil and the two should not be together. With EJ DiMera reportedly dead, it is clear that she would do anything to bring her boy back. It isn’t known if the role will be recast. However, her hatred of Sami and wanting to make sure that EJ could successfully be resurrected might be the reason Will was focused on. It would also explain why Will hasn’t returned to Salem since his death two years ago. Several months ago, an audition tape was leaked that showed a man claiming to be Elvis was resurrected. He knew of the doctor, which is now known to be a code name for Dr. Rolf (William Utay.) It is all tying together and the dots are connecting. It will lead to a shocking conclusion. Recently Freddie Smith teased that Will Horton will not be the same man people remember. If that is the case, what has Susan done to him?